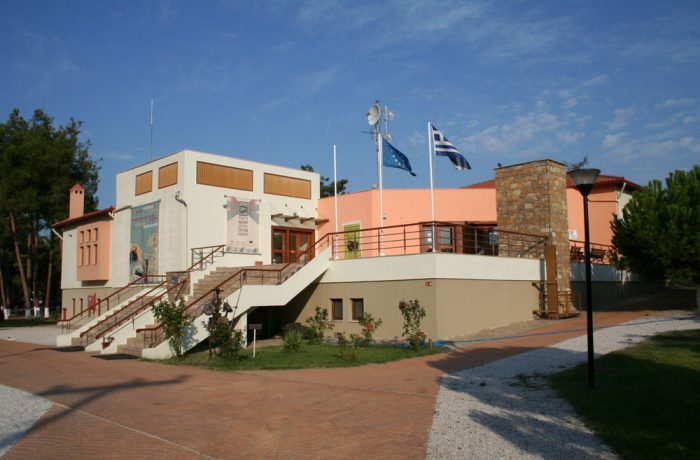 The Cultural Center of Ierissos is housed in an impressive building in the centre of Ierissos, since 2004. It was approved by the European Investment Bank as a centre for the promotion of the Athonite heritage and the promotion of the Mount Athos area with the use of modern technology. The first successful attempt of the centre’s partners was the creation of a high-resolution video titled Travelogue in Mount Athos. The 3D “travelogue to Mount Athos” is a journey through the sanctuary of Mount Athos. A presentation of the monastic way of life. Experience the 1.000-year-old history of the Monastic Republic which still continues until today. In the Holy Virgin’s garden peace and solitude help, one’s soul revive. The sound of the bells, the rustling of the leaves, the Byzantine chimes create the uniqueness a soul needs to relax. This stereoscopic journey presents Ecumenicalism and the everlasting Orthodox meaning. A major goal of this effort is to show the outside world the cultural and religious heritage of Mount Athos and mainly to women who cannot visit due to the “Avaton” Rule which forbids them to live this magical experience. It is available in greek, english, german, russian and bulgarian language.